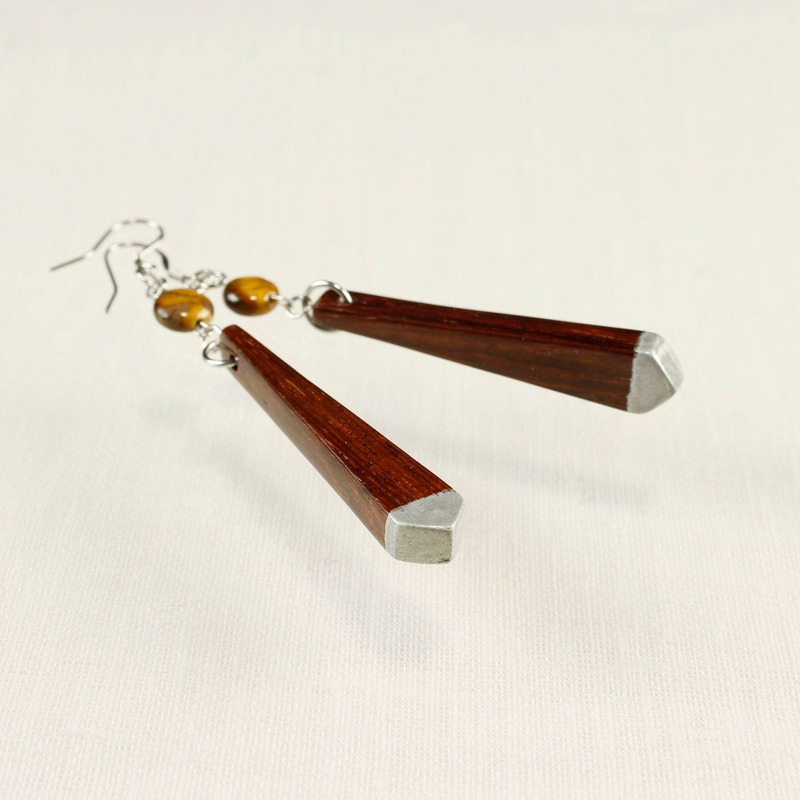 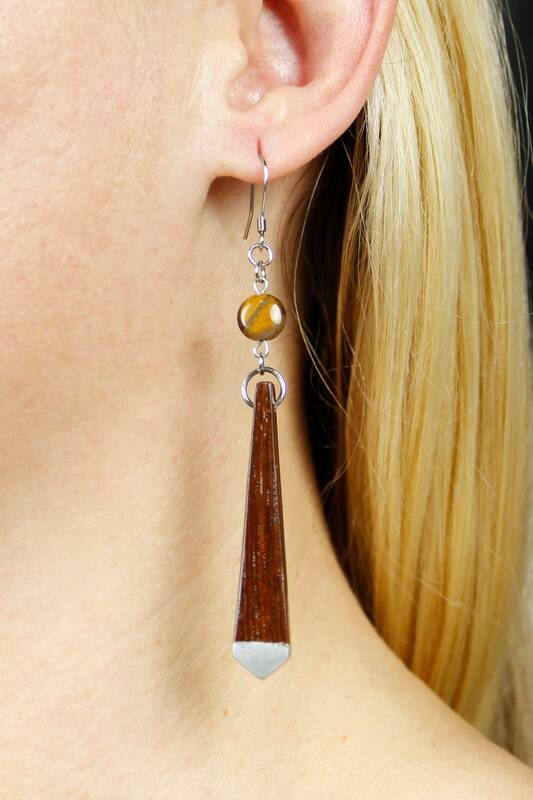 Dark Rosewood & Tigers Eye Dangle Earrings, handmade with reclaimed wood. 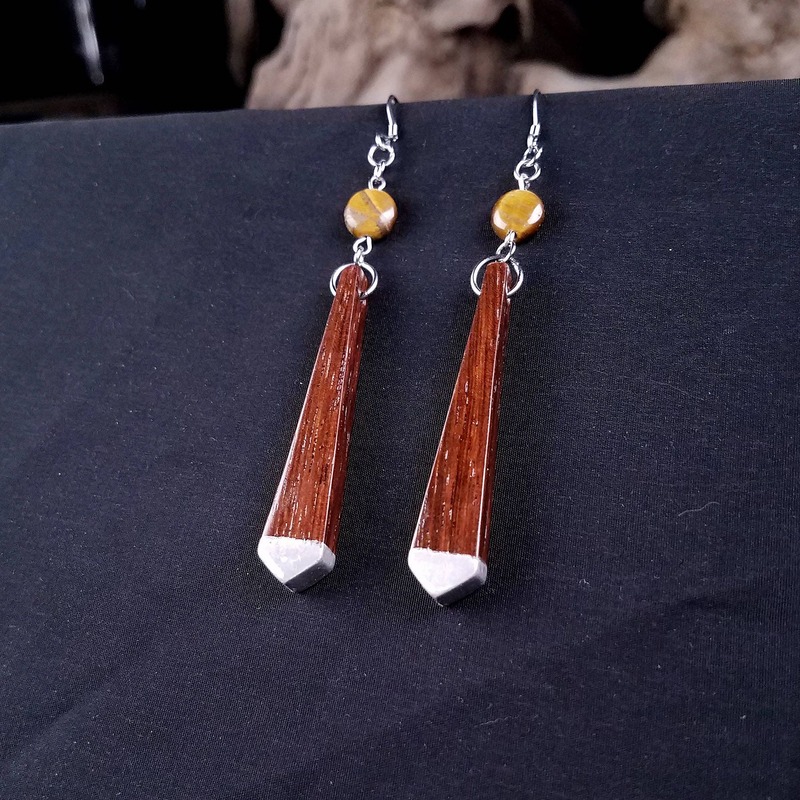 Dark wooden dangle earrings, handmade from reclaimed rosewood. 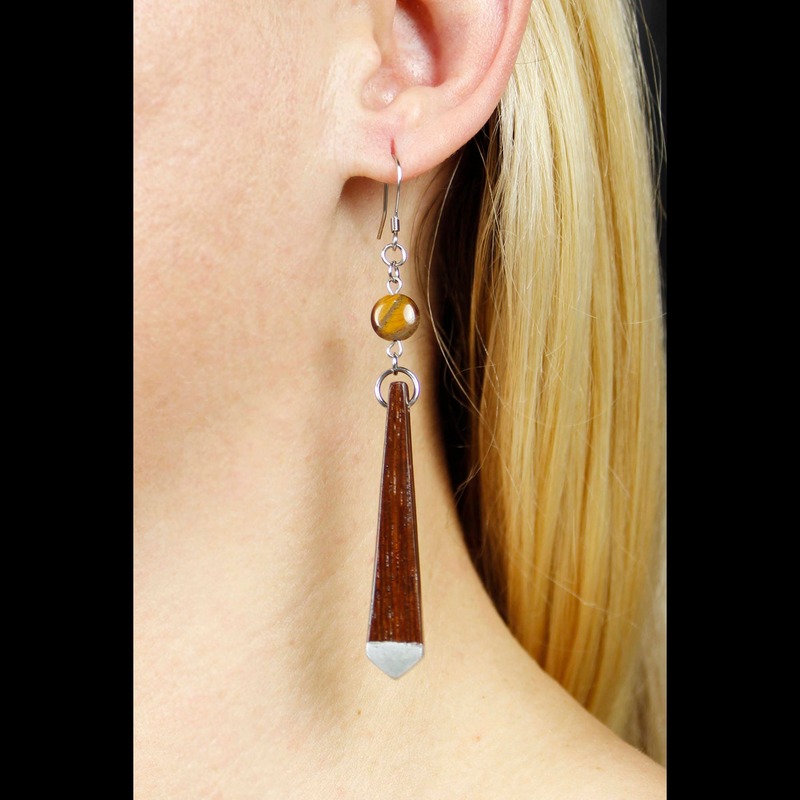 We create our wood earrings in small batches, often pairs of earrings will have a mirrored pattern, called book-matching. 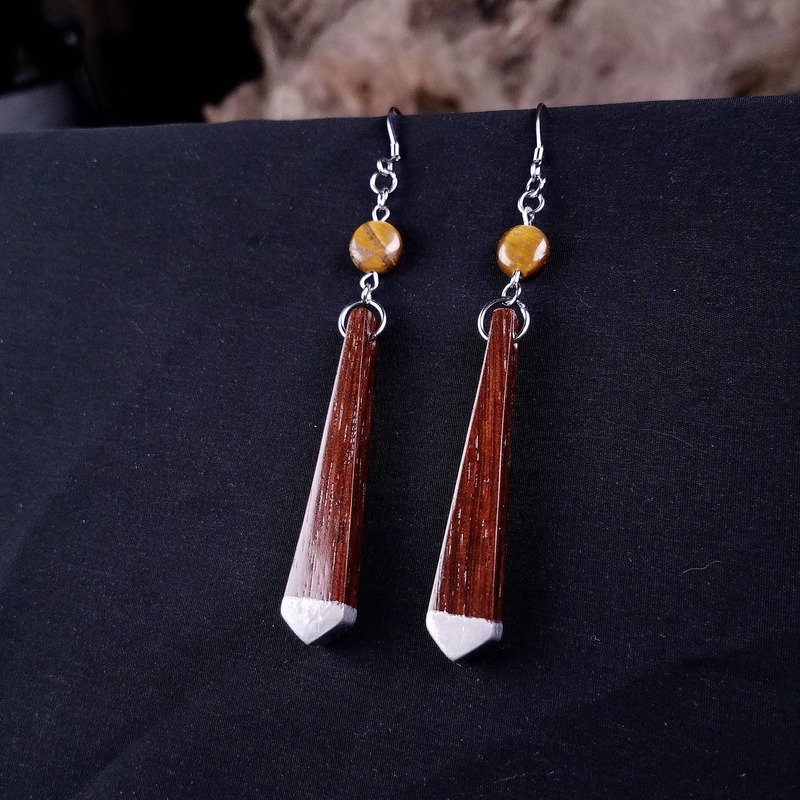 •Ready To Ship! 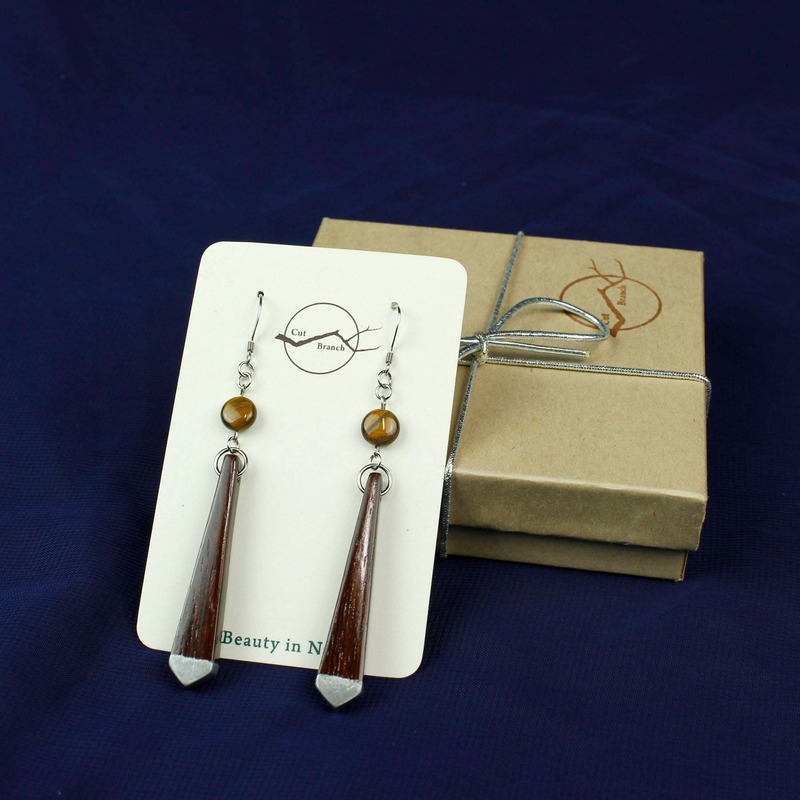 NO Waiting, the earrings you see above are the exact pair you will receive, this is a one of a kind listing.